U.S. home prices continue to plummet, despite the supposed American economic recovery, bought and paid for with trillions of dollars in borrowed money. According to the latest S&P Case Shiller home price index, in the month of February American house values declined by .2 percent. This represents a year on year contraction of 3.3%. If anything, the February Case Shiller data reveals an acceleration in the rate of home price contraction in the United States. The continuing decline in American real estate valuation, which was the original ground zero for the global financial and economic crisis, comes in conjunction with a worsening sovereign debt crisis in Europe, Japan and the United States. The recent S&P negative forecast on future American government credit worthiness, the massive fiscal imbalance in U.S. federal, state and county governments and a stubbornly high unemployment rate make a housing recovery unlikely. 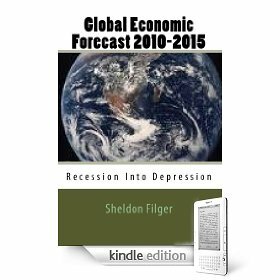 All these factors together point to a continuing economic crisis in the United States.